An associate in Gowling WLG's Waterloo office, Alexandra’s broad commercial litigation practice focuses on construction litigation, including claims for liens and claims involving deficiencies and delays; insurance defence; product liability; collection proceedings; shareholder disputes; lease disputes; and contract disputes, including complex commercial litigation matters. Alexandra takes pride in diligently representing and effectively guiding a wide range of clients at all stages of the litigation process. She implements negotiation, litigation and risk management strategies for her clients, while striving to achieve the best possible outcomes. 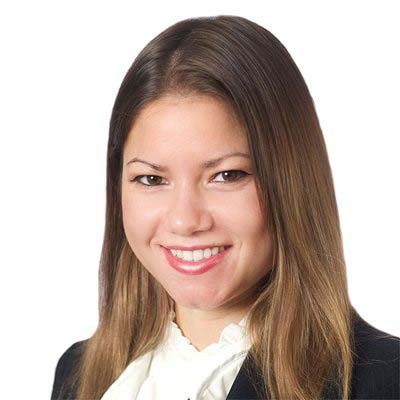 Alexandra pursued an intensive business-focused joint Canadian and American law program and obtained her Canadian bachelor of laws and US Juris Doctor degrees in 2007. During the summer of 2006, Alexandra served as a judicial law clerk under the Honorable James M. Biernat in the Civil/Criminal Division of the Macomb County Circuit Court for the Sixteenth Judicial Circuit of Michigan, where she assisted in the drafting of judicial opinions, reviewing motions, and conducting legal research, among other things. Alexandra is also fluent in Romanian.